LOWER LAKE, Calif. (KGO) -- Firefighters are worried about hot and dry conditions this weekend as they work to contain the Jerusalem Fire. 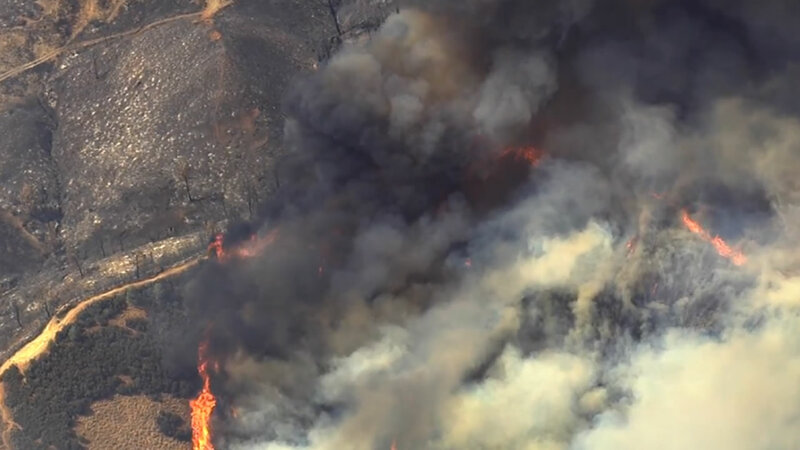 It's burned more than 25,000 acres in Lake and Napa counties, destroyed four homes and forced dozens of evacuations since it started nearly a week ago. The fire is now 78 percent contained. A new fire that started new Lower Lake Sunday afternoon has prompted officials to order evacuations for residents along Jerusalem Grade Road east of the Soda Creek Bridge. 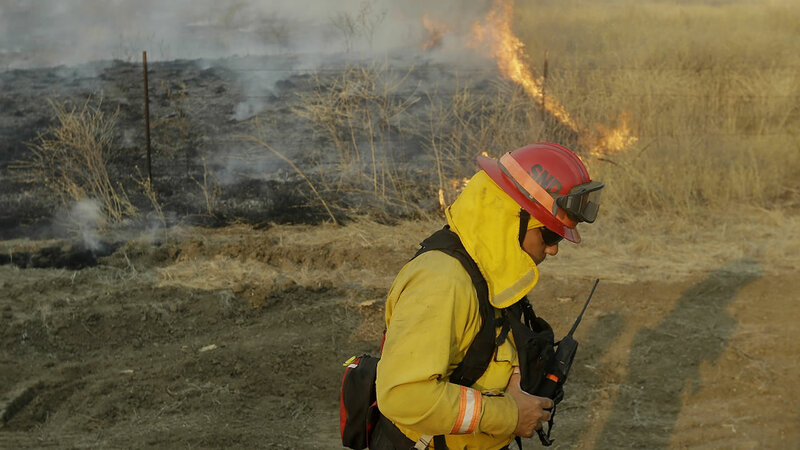 Firefighters will keep a watch out for spot fires that may pop up in the next few days. Officials say if you see electrical wires on the ground, stay clear and contact PG&E immediately. Trees and poles with deep charring, particularly if still smoking, should be considered hazardous. As you re-enter your property and evaluate damage, be aware that hazardous conditions may exist, particularly if a residence or out-building has burned. Hazards may include asbestos, heavy metals, byproducts or plastic combustion and various other chemicals. Various agencies will also be involved with the Jerusalem Fire recovery effort and may provide additional assistance to property owners. A bigger fire burning just north of the Jerusalem Fire is now 100 percent contained. The Rocky Fire has burned 70,000 acres and destroyed nearly 100 structures, about half of them homes. Evacuation orders have been lifted but firefighters want residents to remain vigilant because of the soaring heat. For more stories about the wildfires breaking out across California, click here.